The man dubbed the 'Wickedest man in England' was born Edward Alexander Crowley in the genteel spa town of Royal Leamington Spa on 12th October 1875. His wealthy family belonged to a strict faction of the Plymouth Brethren, known as the Exclusive Brethren, of whom his father was a particularly enthusiastic evangelical member. When Crowley was just eleven years old, his father died - an event which had a profound effect on the young Aleister, who proceeded to work his way through a number of expensive schools, leaving (or being expelled) after relatively short stays. There followed two years at Cambridge University (1895-1897) studying successively philosophy and English Literature, although quite how much studying he left time for is questionable. He spent much of his time pursuing his hobbies: writing (he was a prolific, if not necessarily accomplished, poet), mountaineering, playing chess and, on a winter holiday in Sweden in 1896, he had his first 'mystical' experience. Disagreements and feuds soon developed within the organisation and, between 1900 and 1903, Crowley (by now having changed his name to Aleister), travelled around Mexico, India and Paris. He married Rose Kelly in 1903 and the following year they took off to Egypt where Rose began to experience visions, which she alleged to emanate from the Egyptian god Horus and his messenger. Then Crowley himself began to hear a voice, allegedly from an entity known as Aiwass - messenger of Horus - and, over the next few days, wrote down everything it told him. This became The Book of the Law . Apparently a new 'Aeon' had begun and Aleister Crowley was its prophet. The supreme moral law, 'Do what thou will shall be the whole of the Law', was central to this new belief. People were to live in accordance with their 'True Will' - and this led Aleister to develop his philosophy of Thelema which he would continue to develop and promote for the rest of his life. 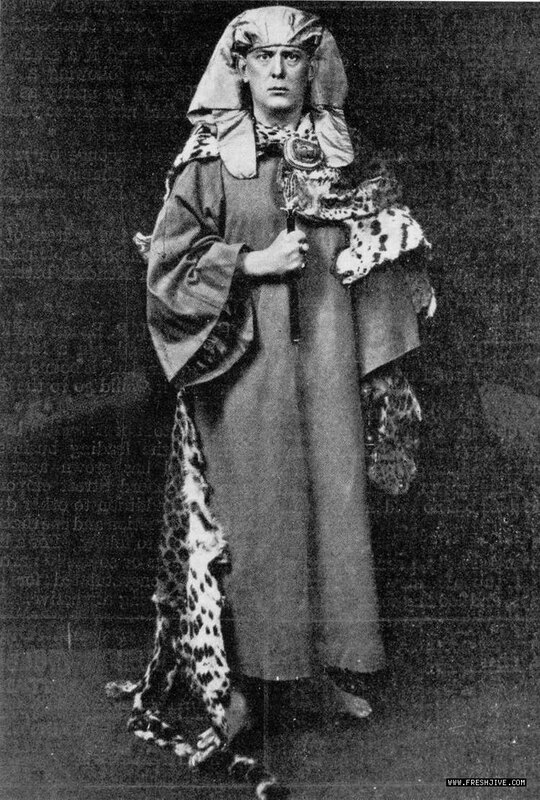 Over the next few years, Crowley wrote and published more of his poetry, travelled back to India to attempt more mountaineering and underwent a number of spiritual expriences which led him to believe he had now achieved the the highest level of spiritual awareness and ability, causing him to form his own magical society - the Argenteum Astrum (Silver Star). For Crowley, life was never a simple or straightforward matter. Even by today's standards, his licentiousness would leave many a wayward premier league footballer shaking his head, while persistent rumours that he was a lifelong agent for British Intelligence remain to this day. He even faked his own death, enjoying the newspaper reports of his demise before emerging three weeks later at an exhibition in Berlin. Then, following an unsuccessful court case, Crowley was declared bankrupt in 1934 and on 1st December 1947, he died in a Hastings boarding house from a respiratory infection. Even in death he remained controversial, with newspapers referring to his funeral as a 'Black Mass' and the coincidence of his last doctor dying within twenty-four hours of him. Rumours circulated that Crowley had put a curse on him for refusing to continue to prescribe opiates (he was, by then, addicted to heroin). He was called the Antichrist and the Great Beast (even by his mother!). He claimed to be a Freemason (although not, apparently, of the regular order accepted by the United Grand Lodge of England). He revelled in his notoriety and seems to have deliberately set out to shock in his writings by his choice of language, as well as his stated beliefs. He was pansexual and, in addition to heroin, worked his way through a comprehensive catalogue of substances from cannabis to mescaline (omitting precious little in between). 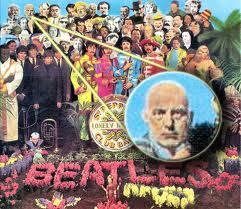 Years after his death, he became the subject of a song by Ozzy Osbourne (Mr Crowley), featured on the Sgt Pepper album cover and Led Zeppelin's Jimmy Page bought his former home (Boleskine House) in the 1970s. Abhorrent, evil, devil-incarnate, visionary, prophet, witch, occultist. 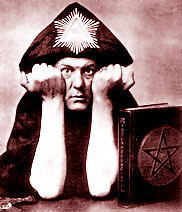 Whatever you think of him, Aleister Crowley remains today a fascinating subject for any writer interested in the paranormal, magic and the occult. His influence persists in his writings and philosophies and there are many hundreds of books and pages on the web devoted to him. Thank you for this, William. I hadn't come across LaVey before so I found the link very interesting. I'll bet it was quite an interview! Sergeant Pepper's full of surprises! Thanks.